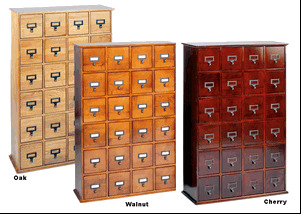 This retro-designed librarians card file cabinet is handcrafted in solid oak in your choice of oak, cherry or walnut finish. Handcrafted quality construction with a hand rubbed finish. 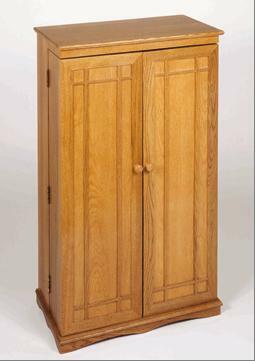 This cabinet will keep your collection safe and dust free. 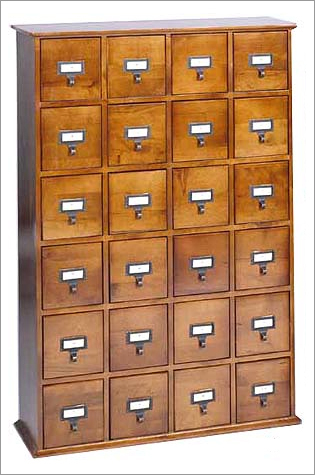 Each of the twenty four drawers are finished with vintage style handles and come with labels for the drawers. Holds CD's only, will not hold DVD's. Fully assembled. 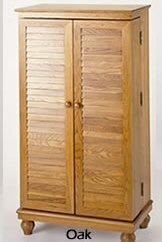 *Due to color variance in the solid oak and preferred finish choice, the actual finish color may vary slightly.